Three’s Go Binge gives you unlimited data for use on Netflix, TV Player, Snapchat, Soundcloud, Deezer and Apple Music. In the UK, Three currently offers a service called Go Binge on all Pay Monthly plans with at least 12GB of data per month (15GB on mobile broadband plans). The service gives you unlimited data for use in six applications: Netflix, TV Player, Snapchat, Soundcloud, Deezer and Apple Music. Usage of these six services is “zero-rated” and will therefore not count towards your normal download allowance. In this article, we’ll review Three’s Go Binge service including what you’re able to do with it and the limitations of the offer. We’ll also look at the price plans that are compatible with Go Binge and how it interacts with other services like Three’s Go Roam and unlimited data plans. We’ll also look at how you can keep your existing phone number when moving to a plan to take advantage of Go Binge. 1 What is Go Binge? Go Binge is the “zero-rated” data promotion from Three in the UK. The service has been available to customers with a compatible Pay Monthly plan since July 2017. At launch, it offered zero-rated data on four services (Netflix, TV Player, Deezer and Soundcloud) and was available to Advanced price plan customers with at least 4GB of data per month. As of 2019, the Go Binge service offers zero-rated data on six services (Netflix, TV Player, Snapchat, Soundcloud, Deezer and Apple Music). It’s available to all new and upgrading Pay Monthly customers with at least 12GB of data per month in their plan. Netflix (Video Streaming): Netflix allows you to watch popular movies and TV shows on-demand from your smartphone. A separate subscription to Netflix is still required (£5.99 to £9.99 per month) and is not included with the Go Binge offer. TV Player (Video Streaming): TV Player allows you to watch live television on your smartphone. The free version gives you access to free-to-air channels like BBC One, ITV, Channel 4 and Channel 5 (supported with additional adverts from TV Player). A paid-for subscription to TV Player Premium costs £6.99 per month and gives you access to 80 additional channels like MTV, Comedy Central, Discovery and History. Snapchat (Social Media): Snapchat is a social media application, included in the Go Binge service since April 2018. The “Discover” tab within Snapchat is zero-rated but links from it to external services are not included in the offer. Apple Music (Music): Apple Music allows you to stream on-demand music from your iPhone or Android device. The service offers 40 million songs and costs £9.99 per month (£14.99 per month for a family subscription). Deezer (Music): Deezer is an on-demand music streaming service, claiming to offer more than 53 million songs. 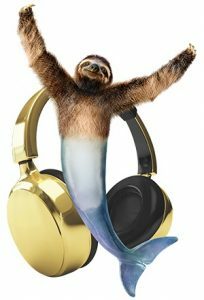 The free version of Deezer allows you to play music on shuffle with adverts, with a paid-for advertising-free subscription costing £9.99 per month (£14.99 per month for a family subscription). Soundcloud (Music): Soundcloud is an on-demand music streaming service with songs and podcasts from emerging artists around the world. It’s free to listen to songs on Soundcloud (advertising supported). A paid-for subscription to SoundCloud Go+ costs £9.99 per month and gives you ad-free listening. Other applications and websites are not currently included in the list of zero-rated services. This means, for instance, if you’re watching BBC iPlayer, YouTube, NOW TV, Amazon Prime Video, Google Play or Spotify, all of the data usage will count as normal towards your download allowance. Other social media applications besides Snapchat (e.g. Facebook, Instagram and Twitter) are also not included in the list of zero-rated services. 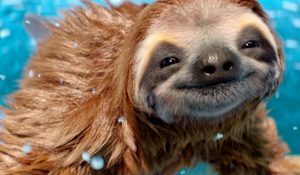 Amongst other mobile networks, a similar offering to Go Binge can be found on Vodafone Passes and Virgin Mobile’s 4G plans. Vodafone offers paid-for passes from £3/month giving you unlimited data for use on selected applications (including chat, social media, music and video). Customers who are under-30 can get the unlimited social media through Vodafone’s sub-brand, VOXI. Meanwhile, Virgin Mobile offers zero-rated data for use on WhatsApp, Facebook Messenger and Twitter. 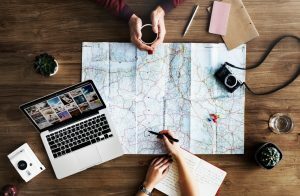 You can use Go Binge with Go Roam Around The World, but some content may not be available. Go Binge is only available on Pay Monthly plans with at least 12GB of data. As a new or upgrading customer, you’ll only be able to get Go Binge on plans with at least 12GB of data. If your existing plan doesn’t allow you to use Go Binge, you may need to upgrade to a plan with more data. Additional content like advertising is not included in Go Binge. Many of the services covered by Go Binge include advertising as a way to pay for the service (e.g. TV Player, Deezer and SoundCloud). Advertising content is not zero-rated and will continue to count towards your download allowance. Links to external websites and services are also not included (e.g. from Snapchat). You must have some of your normal data allowance remaining to use Go Binge. 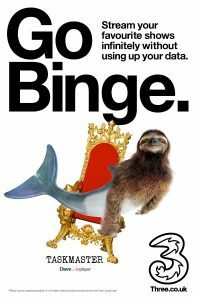 In order to use Go Binge, you must still have some of your normal data allowance remaining in the current month. If you’ve run out of your normal data allowance, you’ll need to purchase additional data before using Go Binge. Go Binge works with Go Roam but some content won’t be available abroad. Due to content licensing agreements, it may not be possible to access some content whilst you’re outside the UK. Go Binge won’t work whilst you’re connected to VPN. If you’re using a Virtual Private Network (VPN) service, the zero-rating of data through Go Binge will not work correctly. Prior to December 2018, streaming on the Go Binge service was only available in standard-definition quality. This restriction no longer applies on the service, following an Ofcom net neutrality ruling. Unfortunately, Go Binge isn’t currently available to customers on Three Pay As You Go. It also isn’t possible to buy a Pay As You Go add-on for the service. In order to benefit from the Go Binge service, you’ll need to upgrade to a Pay Monthly plan with at least 12GB of data per month. Customers on Three Pay As You Go can still benefit from Go Roam Around The World (inclusive roaming in 71 destinations). Three is offering the Go Binge service to new and existing customers who take a Pay Monthly plan with at least 12GB of data per month. 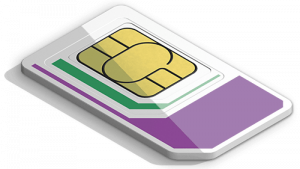 This includes 24-month plans with a new handset and shorter 12-month or 30-day SIM-only plans. Customers choosing the unlimited data plan will not see any additional benefits from having the Go Binge offer. This is because your price plan already includes unlimited data for use on any service (including services not covered by Go Binge like BBC iPlayer, YouTube, NOW TV, Amazon Prime Video and more). If you’re joining Three on a Pay Monthly mobile broadband tariff, you’ll need to choose a plan with at least 15GB of data to benefit from the Go Binge offer. Since the launch of the Go Binge offer, Three has received some occasional criticism in the press and from industry regulators. Some people believe it undermines the principle of net neutrality (the idea that traffic from all online services should be treated in the same way to ensure an even and level playing field). In its current state, the Go Binge service only offers “zero-rated data” for six services. It excludes lots of other popular services including YouTube, BBC iPlayer, NOW TV, Amazon Prime and more. Customers wanting to use a non-inclusive service may be disadvantaged compared to customers using a Go Binge service. For instance, at the time of writing, it’s possible to get unlimited data for use on Netflix for just £15/month (this is for the 12GB SIM with the Go Binge offer). Meanwhile, a customer wanting unlimited data for use on rival services would need to pay £27/month for the general unlimited data tariff. Go Binge potentially takes us down the road towards a situation where ISPs and mobile networks are able to decide which services their customers can use. For some people, this is a key step away from having a “free and open internet” where different service providers compete on a level playing field with each other. In a world where service providers need to cut a deal with ISPs and mobile networks, smaller providers without the resource or pockets to do this are greatly disadvantaged (along with public service broadcasters like the BBC who are unlikely to be able to justify paying to get included in such a service). According to Three, the Go Binge offer is compatible with EU net neutrality laws. Following an Ofcom ruling in 2018, Three made some changes to the service such as allowing HD video on Go Binge. Three have also stated that they’re “keen to engage with any other service providers who wishes to get involved” in Go Binge. If you’re joining Three to take advantage of their Go Binge offer, it’s a straightforward process to keep your existing phone number. 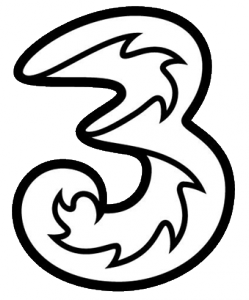 When your new phone or SIM card arrives from Three, fill out this form on Three’s website. 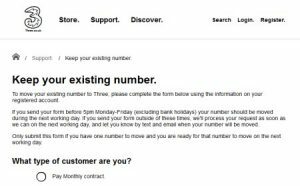 After you enter your PAC Code on this online form, Three will schedule the transfer of your phone number (normally for the next working day). For more information about the Go Binge offer, please see Three’s official webpage. Is it possible to use the Go Binge service on a computer via tethering to a mobile? I’m reading mixed messages online. 3 support just said no, but then questioned themselves! I believe this should be possible. Net neutrality regulations now stop Three from charging for traffic differently based on whether it’s used directly on the smartphone or used on another device through tethering. Go Binge is also offered on Three’s mobile broadband plans. One thing to watch out for when using this via tethering is it depends on whether Three is able to properly detect the traffic is from Netflix/Snapchat/Apple Music/etc. 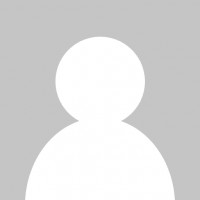 For instance, if the web-based/desktop version of the app connects to a different IP address than the mobile version, it sometimes won’t be categorised correctly as zero-rated traffic. Similarly, if you’re using a VPN service, Three won’t be able to detect usage of the zero-rated service, and it therefore won’t be zero-rated. For this reason, I’d always recommend double-checking before going wild and streaming hundreds of gigabytes! i recently signed a twelve month contract for 100gb . was told to download go binge. there is a vast mountain to information relating to the app. i simply want to find the download button. i have opened everything up but cannot find the download button. Many thanks for your comment. There isn’t a “Go Binge” app. Instead, it’s a service that means you can use Netflix, TV Player, Apple Music, Deezer & SoundCloud without consuming any of your data allowance. You’ll need to download the respective applications from those providers (note that the normal subscription fee will still apply for those services).